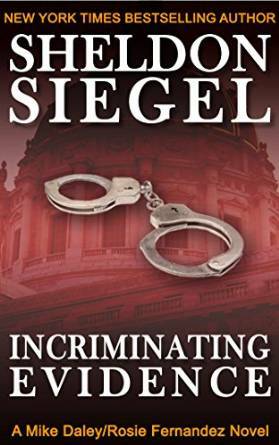 Incriminating Evidence is the second legal thriller in the Mike Daley/Rosie Rodriguez series. I really enjoyed the first one and was glad this one was on Kindle Unlimited. This one starts a year or so after the last one. Mike has opened his legal practice, renting a space from Rosie. He's called at the beginning by his former partner in the large law firm from the first book, Skipper, who's the DA. He's woken up in a hotel room with a dead body and he's been arrested. Will Mike defend him. The whole book is Skipper looking worse and worse, Mike somehow not believing him, but still working through the case. It comes down to the end, though you can probably guess the end. The writing is good, but you have to pay attention. Lots of times in a dialog, we get Mike's internal commentary in the middle, which you can miss if you don't watch the quotes. It's a good technique, letting us in his mind while something else is going on. Read the first one and you'll want to read this one.